↑ Iqbal, Nosheen (20 May 2017). 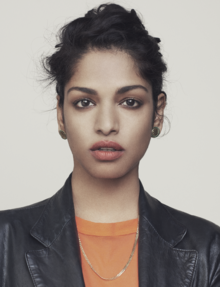 "MIA: ‘This a white country, you don’t have to spell it out to me’" (en-GBमे). The Guardian. आइएसएसएन 0261-3077. https://www.theguardian.com/music/2017/may/20/mia-white-country-you-dont-have-to-spell-it-out.